We’ve all heard that the road to success is paved with failure. But that doesn’t make rejection any easier to swallow. What does help? Knowing that the world’s most talented people have been there, too. 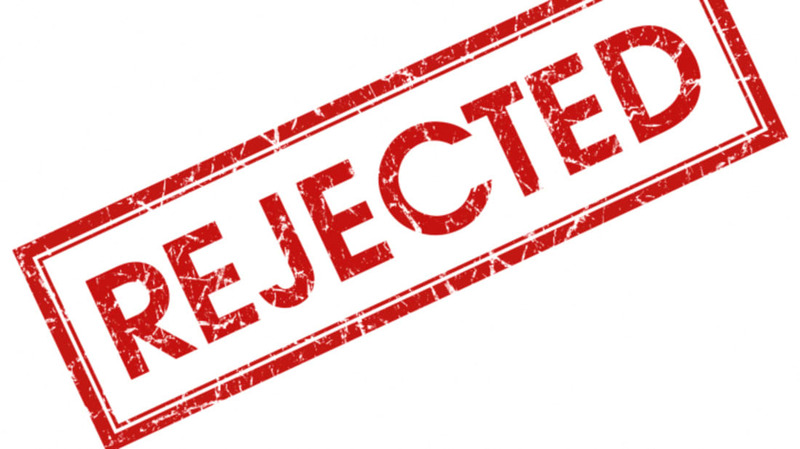 Here are 10 actual rejection letters that prove it. Bono, The Edge, Larry Mullen, Jr., and Adam Clayton were just teenagers when they formed U2 in 1976. (Though they were originally known as The Larry Mullen Band, then Feedback, then The Hype.) 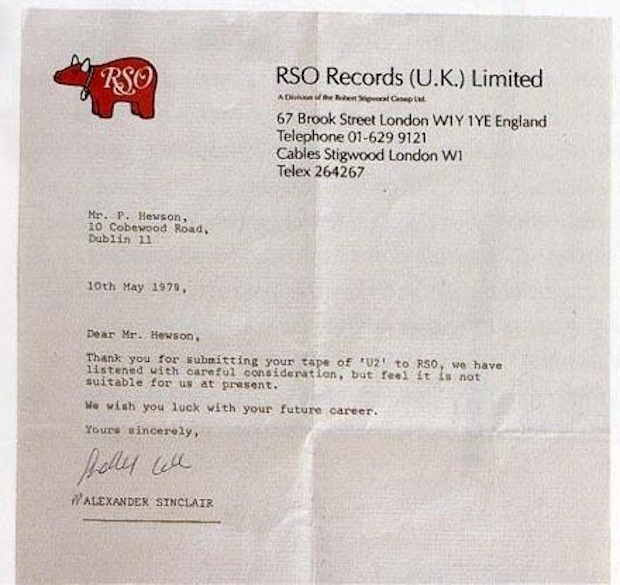 By the fall of 1979, they had released their first single in Dublin, though it was with no thanks to London-based RSO Records, who had rejected the band’s submission in May of the same year. 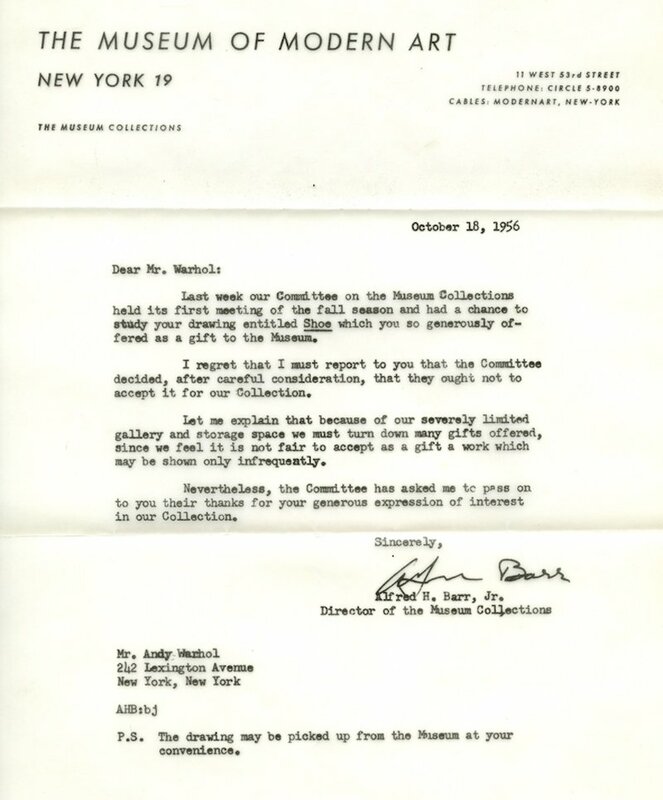 The reason, as briefly explained in a letter to the man sometimes known as Paul Hewson, was that it was “not suitable for us at present.” Within a year, U2 had signed with Island Records and released their first international single, “11 O’Clock Tick Tock.” Hmmm… wonder if they would be suitable for RSO now? 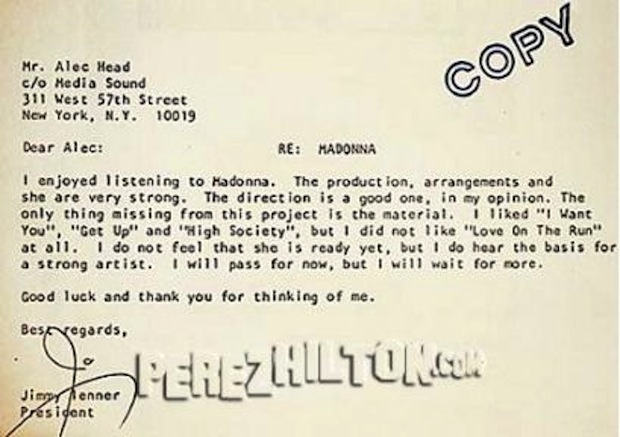 There’s no date on this rejection letter to Madonna’s team. But it must have been before she signed with Sire Records in 1982, a year before she released her first, self-titled album (which has sold more than 10 million copies worldwide). As far as rejection goes, Tim Burton had it pretty easy. 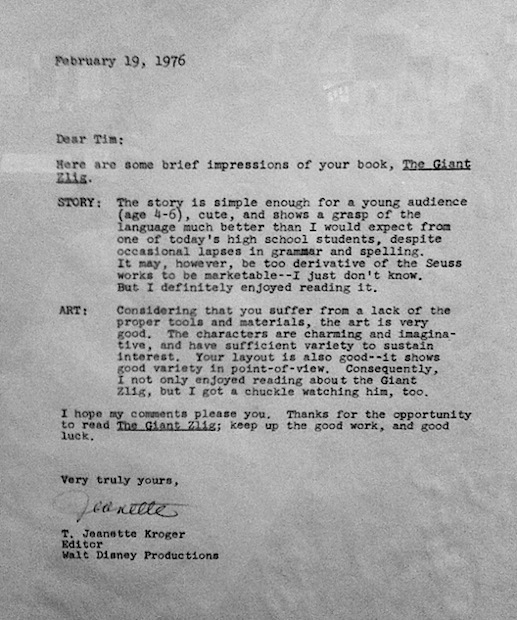 In 1976, while still a high-schooler, Burton sent a copy of his children’s book, The Giant Zlig, to Walt Disney Productions for publication consideration. Though it was rejected for being “too derivative of the Seuss works to be marketable,” editor T. Jeanette Kroger offered Burton some great—and mostly positive—feedback. 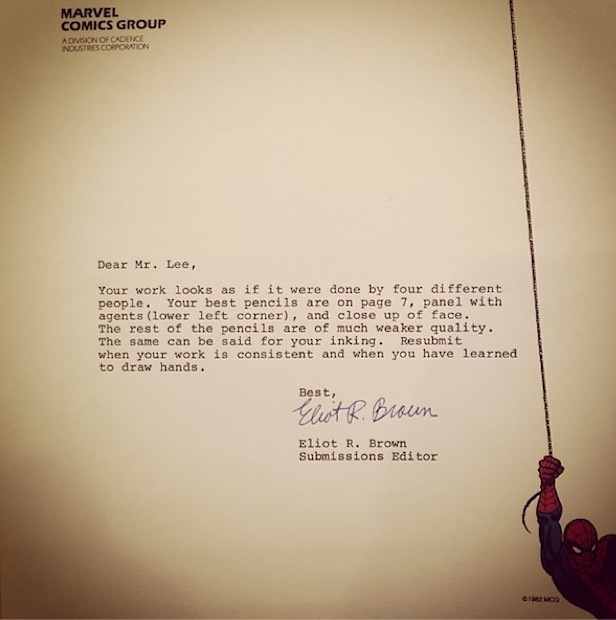 A few years later, the company brought Burton on as an animator’s apprentice. 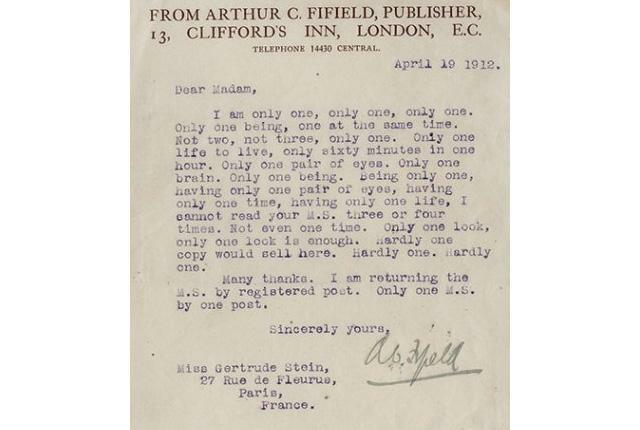 Anyone who has ever successfully managed to read the work of Gertrude Stein knows that her prose can be rather dense. 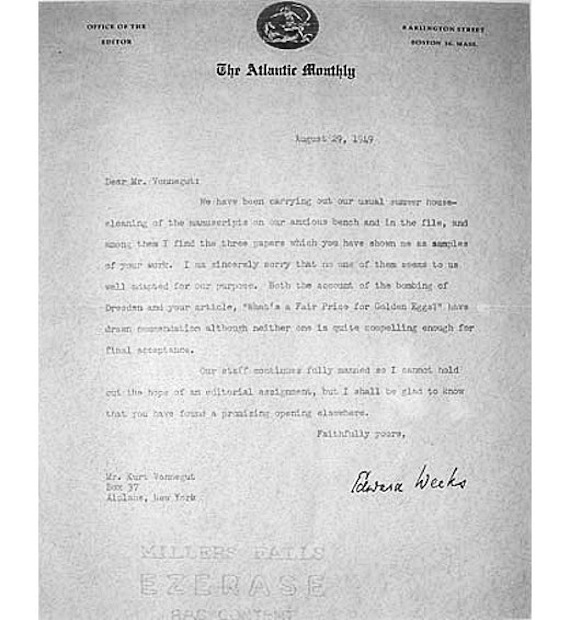 Too dense for Arthur C. Fifield to even bother reading the full manuscript for The Making of Americans, which he declined—quite poetically—in 1912. Though author Stieg Larsson didn’t live long enough to witness his own greatest success with the Millennium series, he did know the sting of rejection, beginning with his application to journalism school in Stockholm at the Joint Committee of Colleges of Journalism. 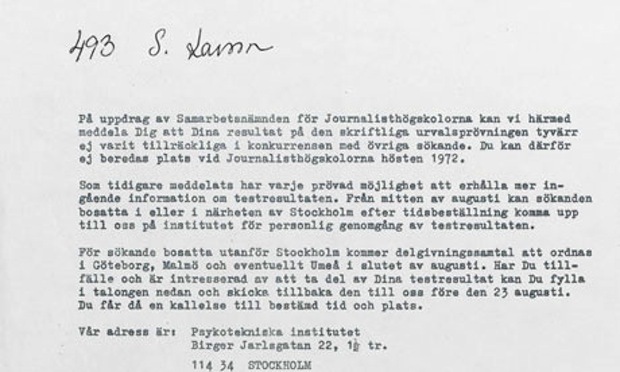 In case you don’t speak Swedish, “This is a letter saying ‘you are not good enough to be a journalist’ to a man who went on to create a supremely creative, crusading magazine which fought against the worsening tide of extreme right thinking and activity in Sweden,” publisher Christopher MacLehose told The Guardian in 2011, right before the letter was auctioned off in London. 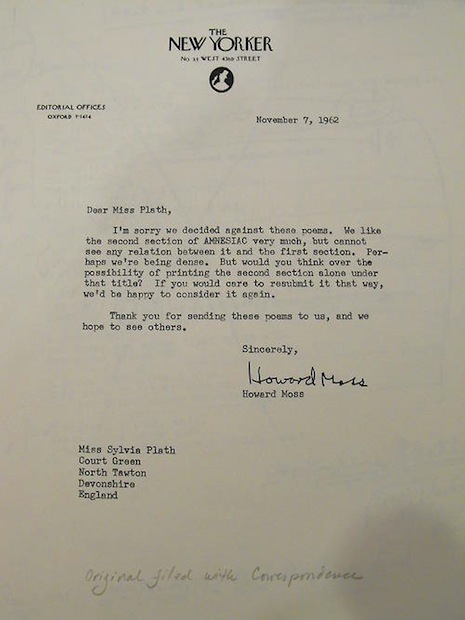 Okay, so this letter wasn’t a rejection of Hunter S. Thompson. 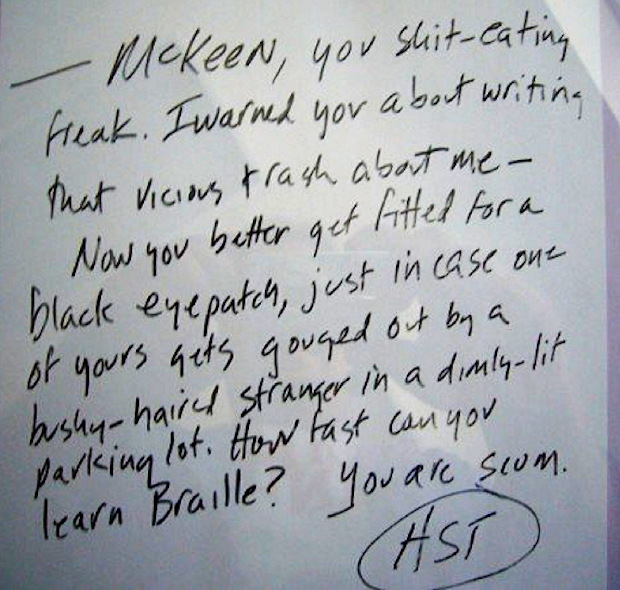 It was a rejection letter sent by Hunter S. Thompson, to William McKeen, author of a 1991 biography of Thompson. The author at the heart of the story wasn’t a fan. After its publication, Thompson sent McKeen a handwritten review of the book, which McKeen framed.